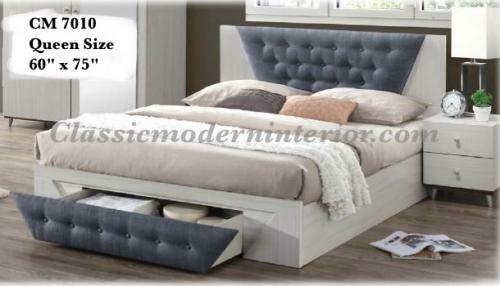 CM 7010 60 Queen Bed Frame. Queen size 60" x 75". Mdf laminated White frame with Padded Grey headboard and footboard. With Drawer for extra storage.